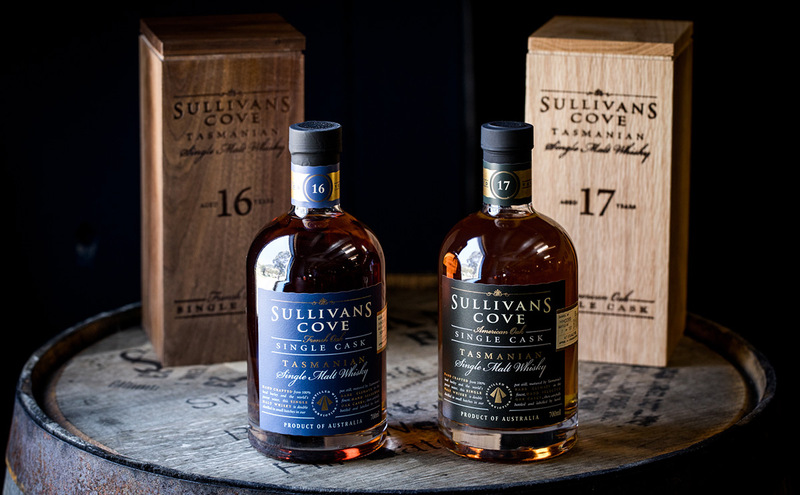 Sullivans Cove Distillery, has announced the launch of a new Old & Rare series, which will be comprised of their rarest whiskies, aged for at least 16 years. The first releases in the new series, include their two award-winning single cask bottlings; American Oak 17 Year Old Single Cask: HH0317 (47.5% ABV) and their French Oak 16 Year Old Single Cask: HH0520 (47.5% ABV). Aged in a 200 litre American oak ex-bourbon cask for 17 years, Cask: HH0317, is said to be impeccably balanced and complex, delivering notes of floral vanilla musk, cream soda, marshmallows, toffee apple and hints of warm clove and perfumed oak on the nose. Followed by notes of sweet blood oranges, ripe red apples, vanilla custard pastries and orange marmalade on the palate. Aged in a 300 litre French oak ex-tawny cask for 16 years, Cask: HH0520, is said to be irresistibly dark and rich, delivering notes of treacle, polished French oak furniture, cigars, prunes, molasses, cola and cherry jam on the nose. Followed by notes of cherry cola, raisins, rosemary, dark chocolate, nutmeg, fine leather, candied orange peel and buttery shortbread on the palate. The philosophy of the Tasmania based distillery, is to bottle their whiskies when we think they're at their peak of flavour and character, regardless of age. The vast majority of their whiskies reach their peak at around 10-12 years of age. Every once in a while, their distillers identify a cask with the specific characteristics that allow for extended maturation. The result is the oldest and rarest of Australian whiskies. This is something only possible at Sullivans Cove, the only distillery in Australia that has been consistently using full-sized casks for over 20 years. Each bottle in the new Old & Rare series, comes in a solid timber presentation box and includes a unique letter of authenticity, personally signed by our Head Distiller, Patrick Maguire and their Production Manager, Heather Tillott. The new Sullivans Cove ; American Oak 17 Year Old Single Cask and French Oak 16 Year Old Single Cask, Old & Rare bottlings, are now available from the distillery website, for the respective RRP’s of $800 AUD and $1250 AUD.